Release De Beast captured a gate-to-pole victory at the Bush Lot United Turf Club to win the feature event of the Labour Day Classic, justifying the favourite tag given at the start of the race. On a breezy Sunday afternoon at the packed venue, the Bay colt sent the turfites into a frenzy as he galloped across the finish line ahead of four other horses in the D and Lower 1400m event. The victory was worth $800,000 and large trophy. 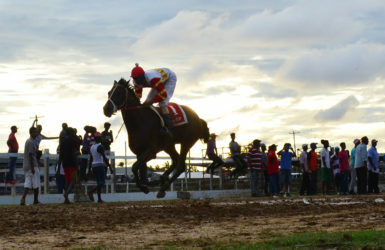 The duo of horse and jockey, Colin Ross flew down the muddy track at a break-neck pace from start to finish, showing elite speed that bodes well for the upcoming horse race meets. Climate Change ($400,000), Keep on Swinging ($200,000) and Settling Star ($100,000) were the steeds that placed second, third and fourth respectively. Release De Beast and California Strike set the pace from the break with Keep on Swinging and the others lurking. 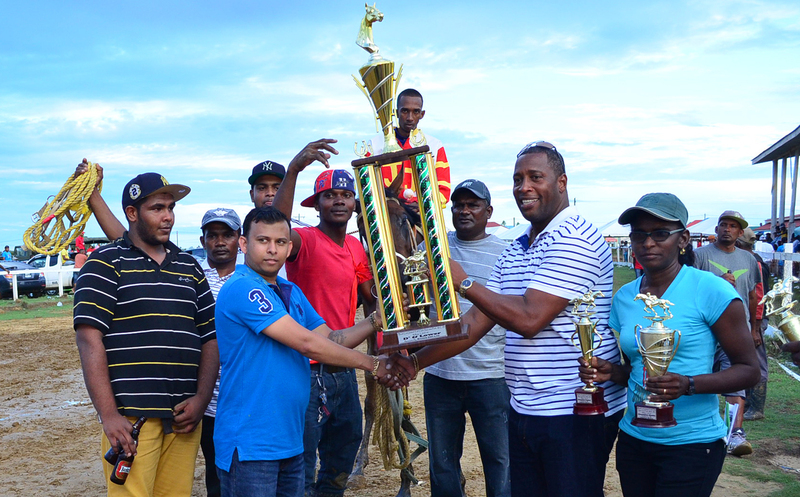 But the Ross and the race horse from the Jumbo Jet Racing Stables soon changed gears and never relented to win its second event of the season by about five lengths. In the co-feature, Three year-old Guyana and West Indian Bred, 1400m race, Isn’t She Charming ridden by champion jockey Randolph Richmond surged ahead on the homestretch and claimed the $350,000 first prize that was up for grabs. She’s In Control and Happy Dancer filled out the top three respectively. Before the feature and co-feature, there were three events. The ‘Sport of Kings’ continues on May 22 at the Port Mourant Turf Club.